Rocky Mountain Underground in Breckenridge is Colorado’s first ski shop and bar. 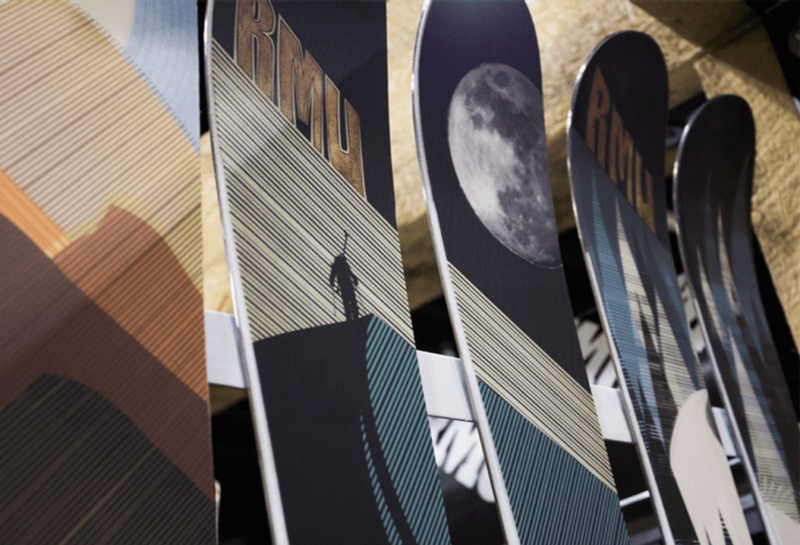 Ski maker, Mike Wesche started his handcrafted ski brand, Rocky Mountain Underground (RMU) skis. Early on, he fought to establish his ski brand. In a market oversaturated with boutique ski makers, the first few years weren’t easy. But soon, business exploded for Waesche and he was able to do what he wanted – open a unique boutique ski shop in Breckenridge unlike anything else out there. Rocky Mountain Underground’s new bar-ski shop is located at 114 S. Main Street in Breckenridge – between Space Cowboy and Mountain Tee’s on Main Street. Sporting a weathered look, the taproom features Colorado-brewed beers and whiskeys. The showroom mirrors the made-in-Colorado vibe with Fritz Sperry guidebooks, SubQ Designs avalanche airbag jackets, Zeal Optics goggles, Strafe outerwear and a display of RMU skis. Waesche’s idea for this ski shop came to fruition much like his many other product ideas – it’s always been about chasing a solution. The RMU Apostle ski came about because he was sick of hauling around different skis for different conditions. The Apostle is a utilitarian ski that floats on powder, carves on hardpack and powers through variable snow conditions – an all-in-one ski so to speak. When he forgot his dog Charlie’s water dish on a mountain bike ride, it led to the creation of the Grrowler, a collar that unzips into a water bowl. Due to the popularity of that collar, he jokingly remarks that he is about to become a dog collar company that make skis. He’s sending his dog bowl-collar to pet supply chain stores around the country. The new shop has quickly become a popular place to sip beer, talk shop and experience something unique in the town of Breckenridge.